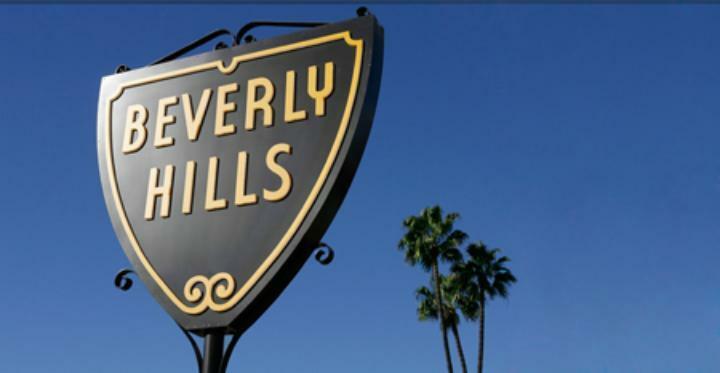 For the second Wednesday in a row I was the bartender at a cocktail party in Beverly Hills, and neither were related which was a strange coincidence. 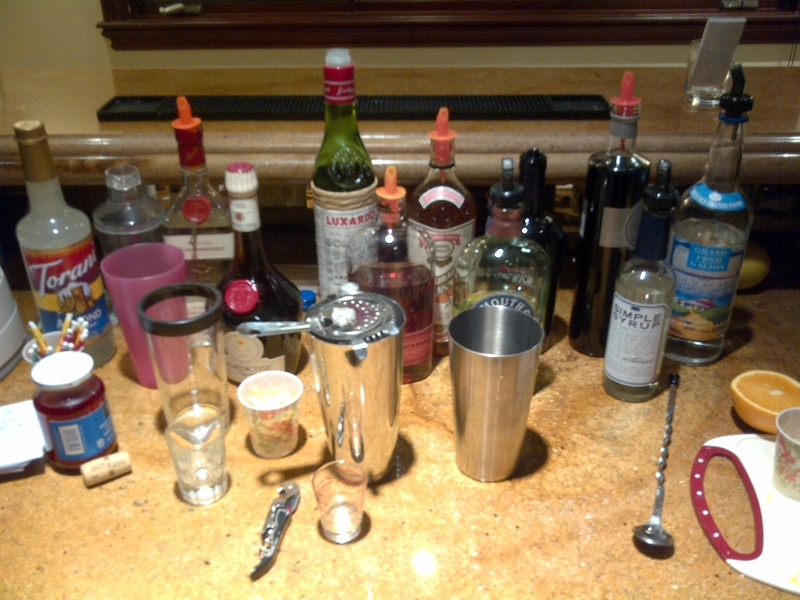 I must admit, I am not really a “mixologist” but I had to do my best for this party and it was a good experience. The host gave me a fewcocktail recipes and I had to help compile a list of the different items needed. Some of the items on the list were not available, like Cuban Rum for instance, most all of the others we found at Total Wine and More. I must also admit that I’m an old school bartender, who has always believed that the most important ingredient in a drink was the base alcohol, so I made strong drinks with not a lot of mixer and people were usually happy. For this cocktail party I did things differently and stuck completely to the recipes, and measured each ingredient exactly, which I have never done. One of the guests of the party explained to me why it was important not to put too much sweetening agent in a particular drink, but it was important to put just enough. I can appreciate that. When I was working at Frascati in Redondo Beach I worked with many Italians and I noticed how important food and beverage was to them. They took such care in simple things like making an espresso or cappuccino. They knew all about the cheeses and different ingredients that were in their dishes. I had a feeling that they felt most of us Americans were lazy and ignorant about these things. Most of the time we were. Those of us in the food and beverage industry should take more time to learn more about everything we are doing. The drinks we were serving at the cocktail party were classic cocktails including the Singapore Sling, the Centennial, the Hemingway Daiquiri, the Mai Tai (Trader Vic’s Recipe), and the Aviation Cocktail. The Aviation Cocktail is an interesting drink and has an ingredient, Crème de Violet, which gives a lavender tint to the drink and a very unique taste. 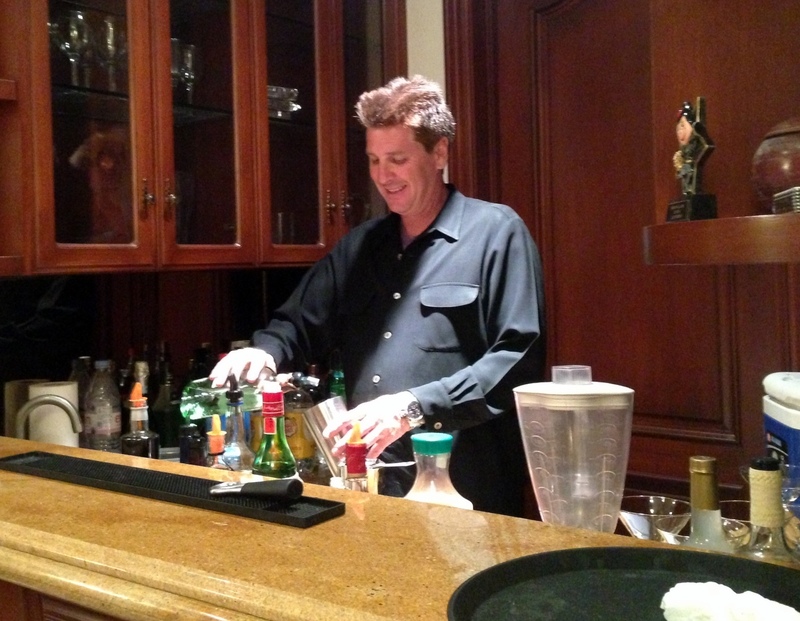 This weekend Shaken Not Stirred will be doing an anniversary party in Santa Clarita, then next weekend a Triple Crown Party in Pasedena, and an informal Bar Mitzvah, where I will be making “mocktails” for 100 teenagers in Calabasas. Then later on I have parties and weddings booked in Orange County, Camp Pendlelton, Lancaster, and Thousand Oaks. Business is really taking off and I am grateful.